One re-occurring drag when working with international musicians on the road is the loss you keep making when converting between currencies. It’s gonna happen at some point when paying the artists their well earned bread: cash needs to be changed into Dollars; wire transfers are costing a furtune; paypal is squeezing your transactions, letting you be nice (and swallow the fee yourself) or greedy (letting the recipient take the hefty cut). If you don’t want to pay your band with apples and pears, or bananas if they’ve been particularly good, you’ve so far been frequently frustrated by seemingly unfair fees. Since starting regular round robin searches for feasible alternatives, I’ve started using WorldFirst. A decent service, which is friendly and painless to use once you’re all setup. You pay a fixed commission for a bank transfer to any international bank account, and are only dealing with the mid currency rate of the day. So far so easy. The concept made sense to me and for the last year and a half I’ve been a happy customer. Until I recently lost a trusted html developer to a new young business called Azimo. Intrigued by his enthusiasm, I checked out their website and found an even better deal and more straight forward approach to international transfers. Their front end concept is less “banky” and focuses on the changing economy of new small businesses taking matters into their own hand and relying on good deals, cheap rates and convenient alternatives to the good old banks. I was ready to start using Azimo for my next Jazz tour. And as it happens, just a few days ago I was drawn to an article a former colleague of mine published in Management Today. In it, Farhad Koodoruth talks about another brand new startup called TransferWise (get it? Transfer wise = wisely? Yes, I thought you wouldn’t). 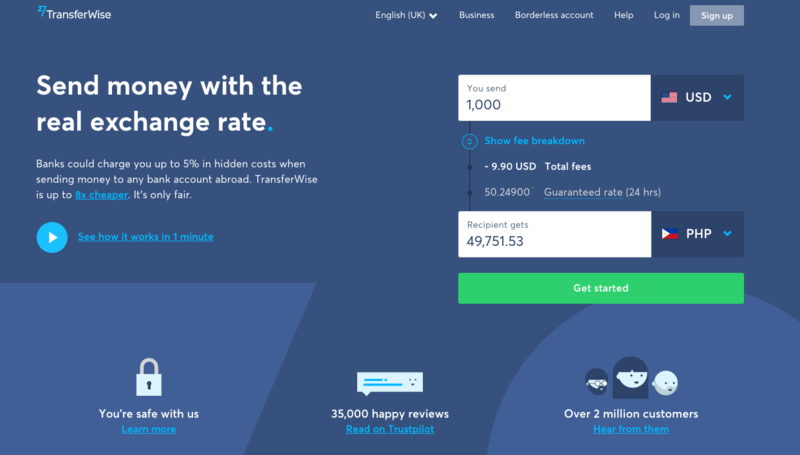 Intrigued about yet another potential contender to solve my saving ambitions for international money transfers, I compared rates and found that we have a new winner. To send $4,000.00 to a US bank account from the UK, the average high street bank would charge you £105.58. Send the same amount with TransferWise, and your fee is £11.99 at the same conversion rate. The competition in this segment is likely to grow and optimise the process of sending money abroad even more to make it easier, faster and – most of all – cheaper. As Farhad explains in his article and according to the Azimo and TransferWise principals, fees can be minimal as we leave the old fashioned clumsiness of moving currency in an ever shrinking global market place. Filed under artist management, writings. Tagged Azimo, banking, International Money Transfers, Management Today, money wires, savings, TransferWise.